"Recovering Latent Variables by Matching" (with Stéphane Bonhomme). January 2018. "Nonlinear Persistence and Partial Insurance: Income and Consumption Dynamics in the PSID" (with Richard Blundell and Stéphane Bonhomme). American Economic Review, Papers and Proceedings, 108, 2018, 281-286. "Nonlinear Panel Data Methods for Dynamic Heterogeneous Agent Models" (with Stéphane Bonhomme). Appeared in Annual Review of Economics, 9, 2017, 471-496. "Earnings and Consumption Dynamics: A Nonlinear Panel Data Framework" (with Richard Blundell and Stéphane Bonhomme). Supplementary Appendix. We develop a new quantile-based panel data framework to study the nature of income persistence and the transmission of income shocks to consumption. Using PSID data we find nonlinear persistence and conditional skewness to be key features of the earnings process. We show that the impact of earnings shocks varies substantially across earnings histories, and that this nonlinearity drives heterogeneous consumption responses. 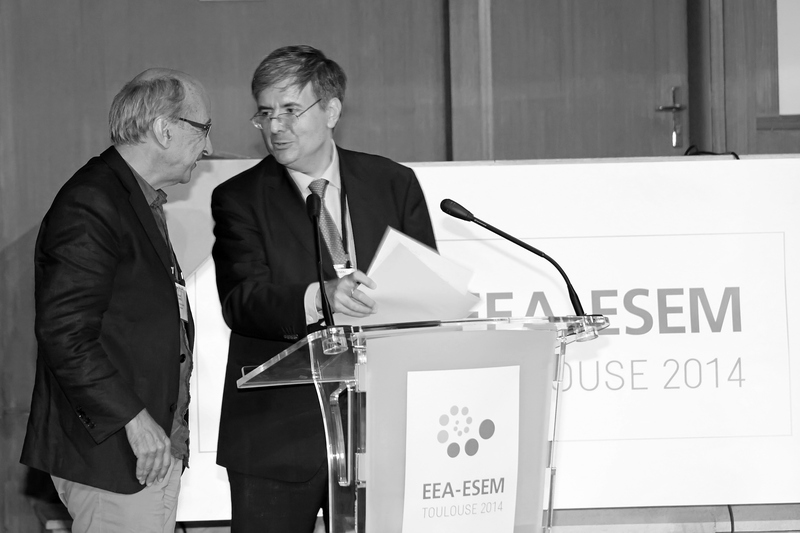 ES Presidential Address, Toulouse, August 2014. Appeared in Econometrica, 85, 2017, 693-734. "Quantile Selection Models with an Application to Understanding Changes in Wage Inequality" (with Stéphane Bonhomme). Supplementary Appendix. We propose a method to correct quantile regression estimates for sample selection, and apply it to study wages and employment in the UK. Appeared in Econometrica, 85, 2017, 1-28. "Sample Selection in Quantile Regression: A Survey" (with Stéphane Bonhomme) September 2016. Prepared for the Handbook of Quantile Regression, edited by Roger Koenker, Victor Chernozhukov, Xuming He, and Limin Peng. This paper contains the code for the selection-corrected quantile regression estimator. "Instrumental Variable Quantile Regressions in Large Panels with Fixed Effects" (with Martin Weidner). We characterize the incidental parameter bias of QR and instrumental-variable QR estimators. We find bias correcting moment functions that are first-order unbiased. We uncover a bias-variance trade-off when attempting to correct bias, and provide bias corrected estimators that balance this trade-off. Delete-one Jackknife is not first-order bias correcting in QR due to the fact that the second-order bias has a non-standard structure. An approximation to the leading order bias suggests that the incidental parameter bias would tend to average effects across quantiles. In an application we study the effect of age on academic achievement of school children. When controlling for school fixed effects and correcting for incidental parameter bias we find that the age effect is decreasing in the quantiles of the test score. Paper coming soon. "Nonlinear Panel Data Estimation via Quantile Regressions" (with Stéphane Bonhomme). We introduce a class of quantile regression estimators for short panels. Our framework covers static and dynamic autoregressive models, models with general predetermined variables, and models with multiple individual effects. We use quantile regression as a flexible tool to model the relationships between outcomes, covariates, and heterogeneity. Appeared in Econometrics Journal, 19, 2016, C61-C94. "Uncertainty, Persistence, and Heterogeneity: A Panel Data Perspective", Journal of the European Economic Association, 12, 2014, 1127-1153. "Underidentification?" (with Lars Peter Hansen and Enrique Sentana). Appeared in Journal of Econometrics, 170, 2012, 256-280. 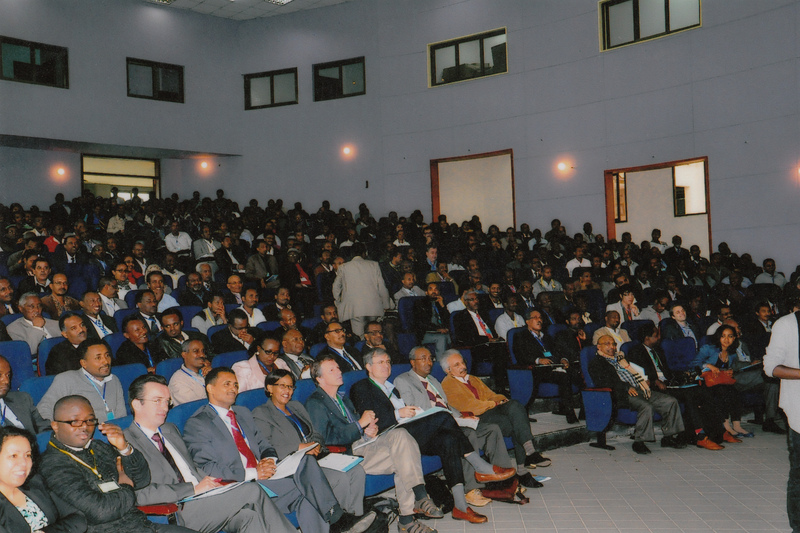 Earlier material: Presidential Address at SAE, Sevilla, December 11, 2003. July 1999 version. "Identifying Distributional Characteristics in Random Coefficients Panel Data Models" (with Stéphane Bonhomme). Appeared in Review of Economic Studies, 79, 2012. Earlier version: CEMFI Working Paper no. 0904, July 2009. Supplementary Appendix. We are interested in the heterogeneous effect of x on y, when x is endogenously selected. We show how to nonparametrically identify and estimate the distribution of the effect from panel data, and apply our method to study the effect of smoking during pregnancy on weight at birth. 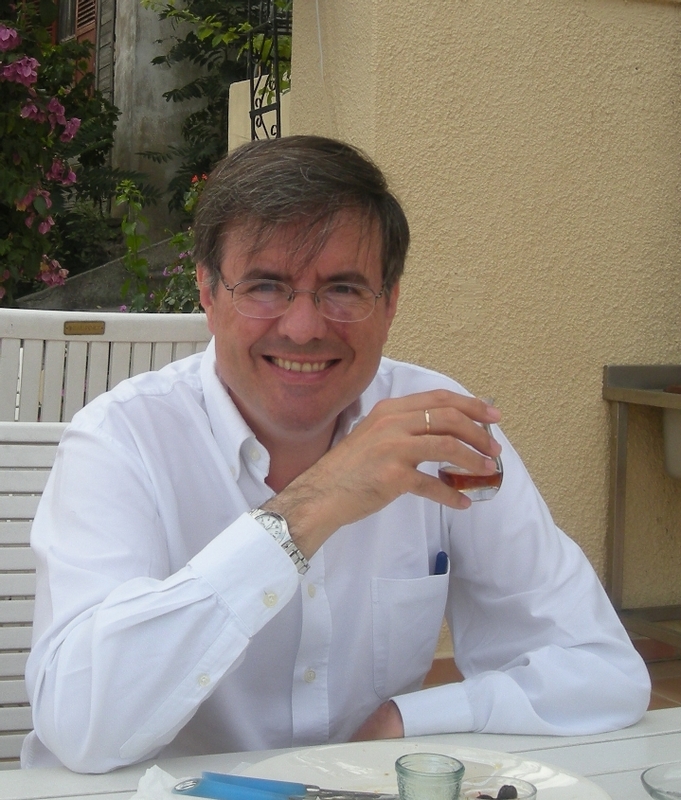 "Nonlinear Panel Data Analysis" (with Stéphane Bonhomme). Appeared in Annual Review of Economics, 3, 2011. "Robust Priors in Nonlinear Panel Data Models" (with Stéphane Bonhomme). Appeared in Econometrica, 77, 2009. Supplementary Appendix. Robust Priors for Average Marginal Effects: Comment. "The Choice between Public and Private Schools with or without Subsidies in Spain" (with Gema Zamarro). May 2007. Slides. "A Likelihood-Based Approximate Solution to the Incidental Parameter Problem in Dynamic Nonlinear Models with Multiple Effects" (with Jinyong Hahn) ( October 2006 version. Supplementary Appendix). Appeared in Global Economic Review, 45, 2016. "Understanding Bias in Nonlinear Panel Models: Some Recent Developments" (with Jinyong Hahn), Invited Lecture, Econometric Society World Congress, London, August 2005. Appeared in R. Blundell, W. Newey, and T. Persson (eds. ): Advances in Economics and Econometrics, Ninth World Congress, Volume III, Cambridge University Press, 2007, 381-409. Slides. July 2005 version. "Robust Likelihood Estimation of Dynamic Panel Data Models" (with Javier Alvarez), CEMFI Working Paper no. 0421, 2004. "GMM Estimation from Incomplete and Rotating Panels" (with Pedro Albarran). First draft: February 2004. This draft: January 2019. To appear in Annals of Economics and Statistics, Special issue on Panel Data Econometrics. "Paro y prestaciones: nuevos resultados para España" (with Samuel Bentolila and Olympia Bover), Banco de España, Documento Ocasional no. 0410. Appeared in: J.Pérez, C.Sebastián, and P.Tedde (eds. ): Políticas, Mercados e Instituciones Económicas, Estudios en Homenaje a Luis Ángel Rojo, Volume 1, Editorial Complutense, Madrid, 2004. 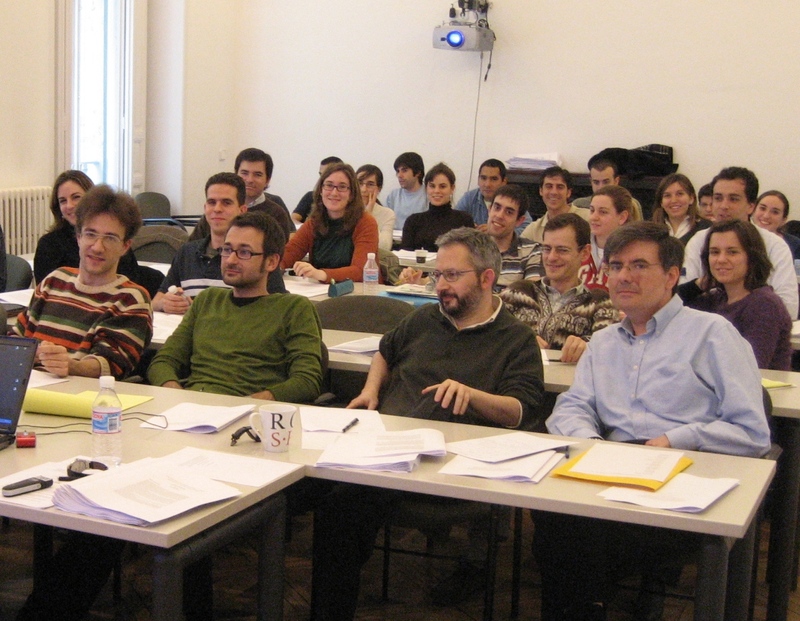 "Modelling Optimal Instrumental Variables for Dynamic Panel Data Models", Econometrics Invited Lecture, European Meeting of the Econometric Society, Venice, August 2002. CEMFI Working Paper no. 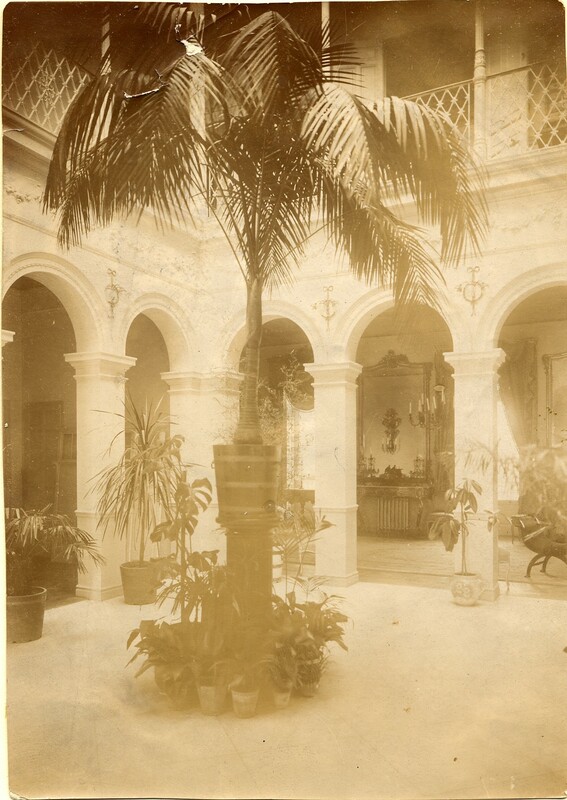 0310. Appeared in Research in Economics, 70, 2016. "Sargan's Instrumental Variable Estimation and GMM", CEMFI Working Paper no. 0110, 2001. Appeared in Journal of Business & Economic Statistics, 20, 2002. This paper surveys the work of Denis Sargan on instrumental variable estimation and its connections with the generalized method of moments. "Discrete Choices with Panel Data", Investigaciones Económicas Lecture, XXV Simposio de Análisis Económico, Bellaterra, December 2000. Appeared in Investigaciones Económicas, 27, 2003. Addendum: "The Cox-Reid modified score: a comment". December 2000 version. "Learning About Migration Decisions From the Migrants" (with Olympia Bover), Banco de España, Servicio de Estudios, Working Paper no. 9908. Appeared in Journal of Population Economics, 15, 2002. Awarded the Kuznets Prize for the best article published in the Journal of Population Economics during the period 2001-2003. March 1999 version. "The Time Series and Cross-Section Asymptotics of Dynamic Panel Data Estimators" (with Javier Alvarez) (Old version: CEMFI Working Paper no. 9808). Appeared in Econometrica, 71, 2003. "The Distribution of Earnings in Spain During the 1980s: The Effects of Skill, Unemployment, and Union Power" (with Olympia Bover and Samuel Bentolila), Banco de España, Servicio de Estudios, Working Paper no. 0015. Appeared in D. Cohen, T. Piketty and G. Saint-Paul (eds. ): The Economics of Rising Inequalities, Oxford University Press and CEPR, 2002. "Binary Panel Data Models with Predetermined Variables" (with Raquel Carrasco), CEMFI Working Paper no. 9618. Appeared in Journal of Econometrics, 115, 2003. "Unemployment Duration, Benefit Duration, and the Business Cycle" (with Olympia Bover and Samuel Bentolila). (Old versions: CEMFI Working Paper no. 9717 ; and CEPR Discussion Paper no. 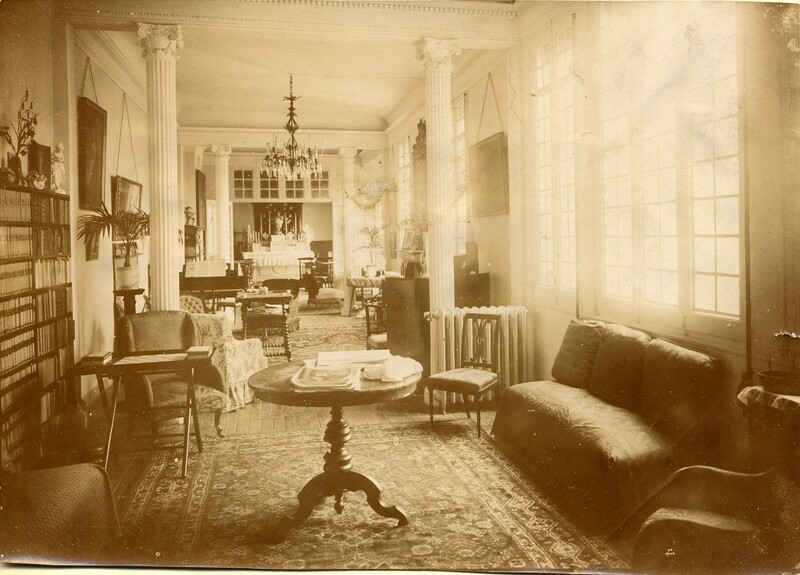 1840.) Appeared in The Economic Journal, 112, 2002. "Symmetrically Normalized Instrumental-Variable Estimation Using Panel Data" (with César Alonso-Borrego). March 1998 Pre-publication version. Appeared in Journal of Business & Economic Statistics, 17, 1999. "Autoregressive Models with Sample Selectivity for Panel Data" (with Olympia Bover and José M. Labeaga). In C. Hsiao, K. Lahiri, L-F. Lee, and H. Pesaran (eds. ): Analysis of Panels and Limited Dependent Variable Models, Chapter 2, Cambridge University Press, 1999, 23-48. "Estimating Dynamic Limited Dependent Variable Models from Panel Data" (with Olympia Bover). Investigaciones Económicas, 21, 1997, 141-165. "Another Look at the Instrumental-Variable Estimation of Error-Components Models" (with Olympia Bover). Journal of Econometrics, 68, 1995, 29-51. "Female Labour Force Participation in the 1980's: The Case of Spain" (with Olympia Bover). Investigaciones Económicas, 19, 1995, 171-194. "Panel Data Models with Predetermined Instruments". 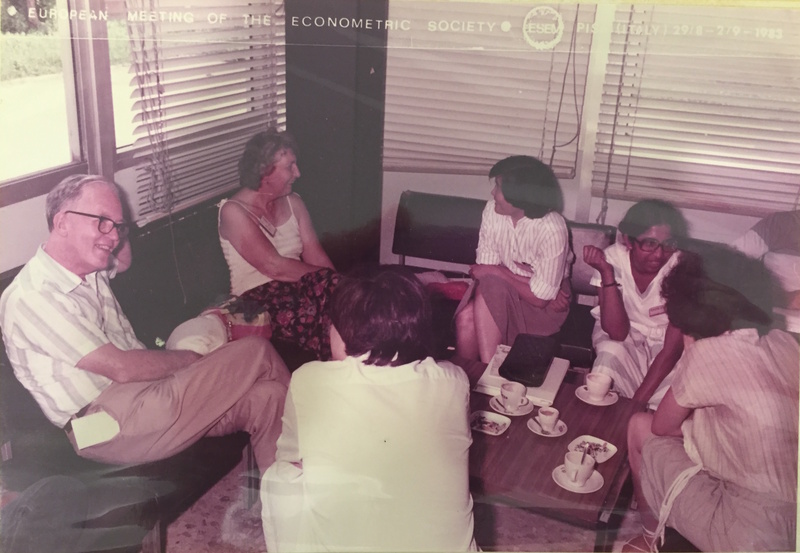 Review of Economic Studies Lecture, Royal Economic Society Conference, University of Kent, 1995. "On the Testing of Correlated Effects with Panel Data". Journal of Econometrics, 59, 1993, 87- 97. "Female Labour Supply & On-the-Job Search: An Empirical Model Estimated Using Complementary Data Sets" (with Costas Meghir). Review of Economic Studies, 59, 1992, 537-559. "On Exogeneity and Identifiability". Investigaciones Económicas, 16, 1992, 401-409. "Some Tests of Specification for Panel Data: Monte Carlo Evidence and an Application to Employment Equations" (with Steve Bond). Review of Economic Studies, 58, 1991, 277-297. "Testing for Autocorrelation in Dynamic Random Effects Models". Review of Economic Studies, 57, 1990, 127-134. 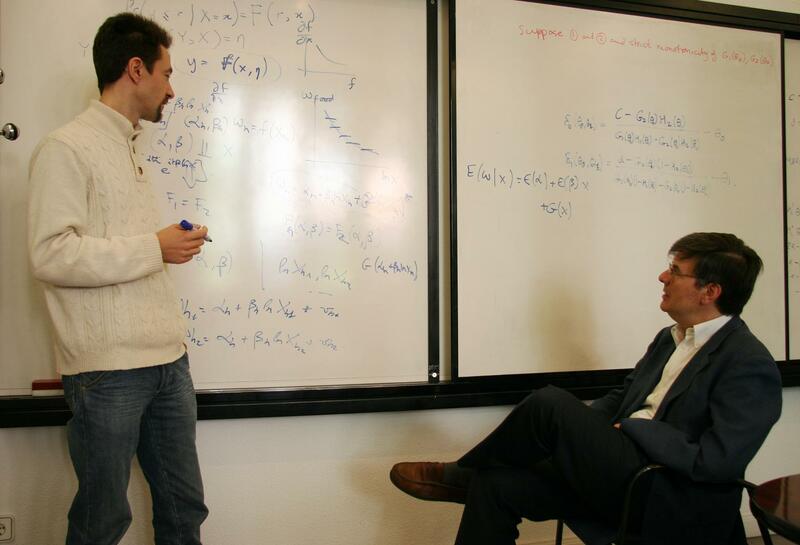 "Imhof Approximations to Econometric Estimators" (with J. Denis Sargan). Review of Economic Studies, 57, 1990, 627- 646. "Labour Supply and Hours Constraints" (with Costas Meghir). In J-P. Florens, M. Ivaldi, J-J Laffont, and F. Laisney (eds. ): Microeconometrics: Surveys and Applications, Chapter 9, Blackwell, Oxford, 1990, 213-230. "La Econometría de Datos de Panel" (with Olympia Bover). Investigaciones Económicas, 14, 1990, 3-45. "An Efficient GLS Estimator of Triangular Models with Covariance Restrictions". Journal of Econometrics, 42, 1989, 267-273. "On the Efficient Estimation of Simultaneous Equations with Covariance Restrictions". Journal of Econometrics, 42, 1989, 247-265. "A Note on the Anderson-Hsiao Estimator for Panel Data". Economics Letters, 31, 1989, 337-341. "An Alternative Transformation for Fixed Effects Models with Predetermined Variables". Applied Economics Discussion Paper 57, IES, Oxford, 1988. "Computing Robust Standard Errors for Within-Group Estimators". 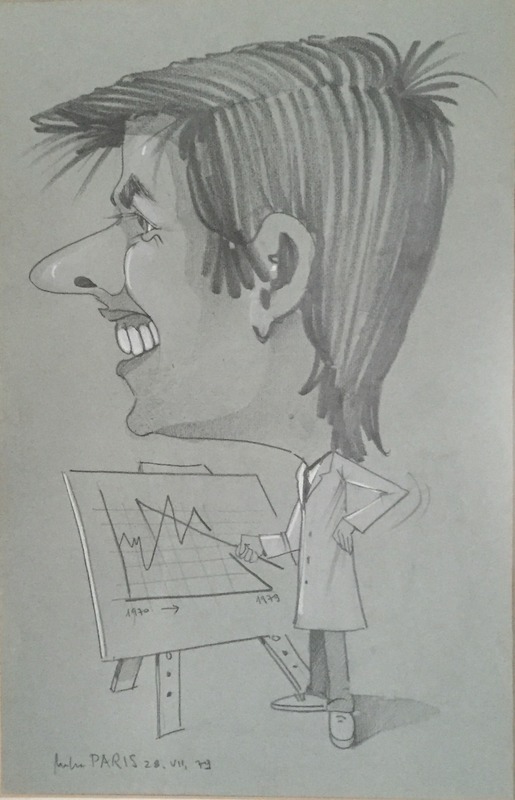 Oxford Bulletin of Economics and Statistics, 49, 1987, 431-434. "Estimating Contaminated Limited Dependent Variable Models" (with Olympia Bover). Applied Economics Discussion Paper 11, IES, Oxford, 1986. "Estimation of Dynamic Random Effects Models with Serially Correlated Time-Varying Errors". Paper presented at the 1983 European Meeting of the Econometric Society, Pisa, Italy, August 29. 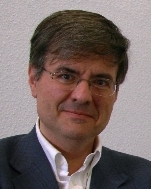 "Causalidad y Exogeneidad en Econometría" (with Jaume García Villar). Cuadernos Económicos de ICE, 24, 1983, 81-102. "Estimation and Testing of Dynamic Econometric Models from Panel Data". Ph.D. Thesis, London School of Economics, 1985. 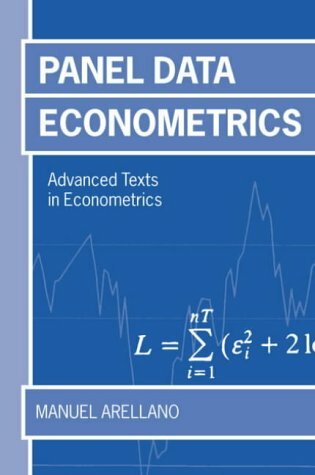 Panel Data Econometrics, Oxford University Press: Advanced Texts in Econometrics, 2003. Table of Contents, Summaries of Chapters, Errata. Estimating and Testing VARs for Firm Employment and Wages (Section 6.7): DPD data files are in CAlonMA.zip. Estimating the Effect of Fertility on Female Labour Participation (Section 8.6): DPD data files are in RCarrCh.zip. VAR for Firm Panel Data (longer panel, section 8.1): DPD data files are in BovWatSIV.zip. Estimating Country Growth Convergence Rates (section 8.3): DPD data files are in GrowthSIV.zip. 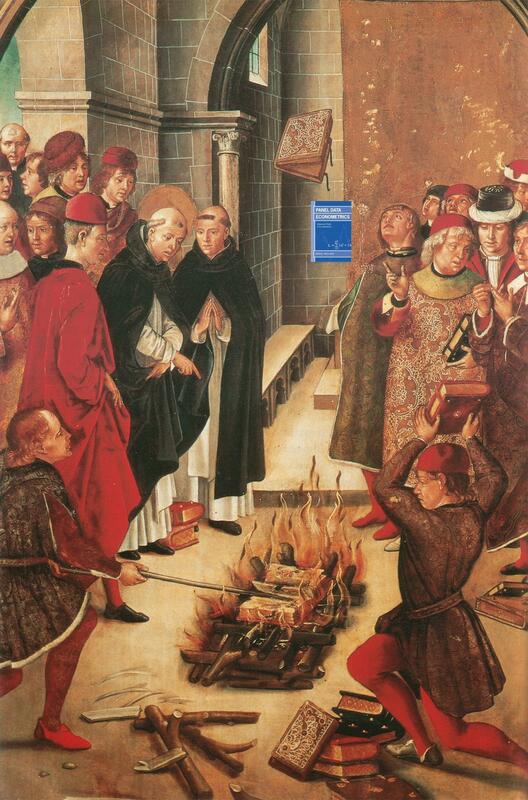 St Dominic and the Albigenses: A 1480 painting by Pedro Berruguete of St Dominic checking for heresy by burning books (Museo del Prado). Comments on "Determinants of Long-Term Growth: A Bayesian Averaging of Classical Estimates Approach" by Doppelhofer, Miller, and Sala-i-Martin, CREI/European Commission Workshop, UPF, Barcelona, June 5, 2000. Comments on "Marginal Mean Models for Dynamic Regimes" by Murphy, van der Laan, Robins, and CPPRG, The Ninth International Conference on Panel Data, Geneva, June 22, 2000. 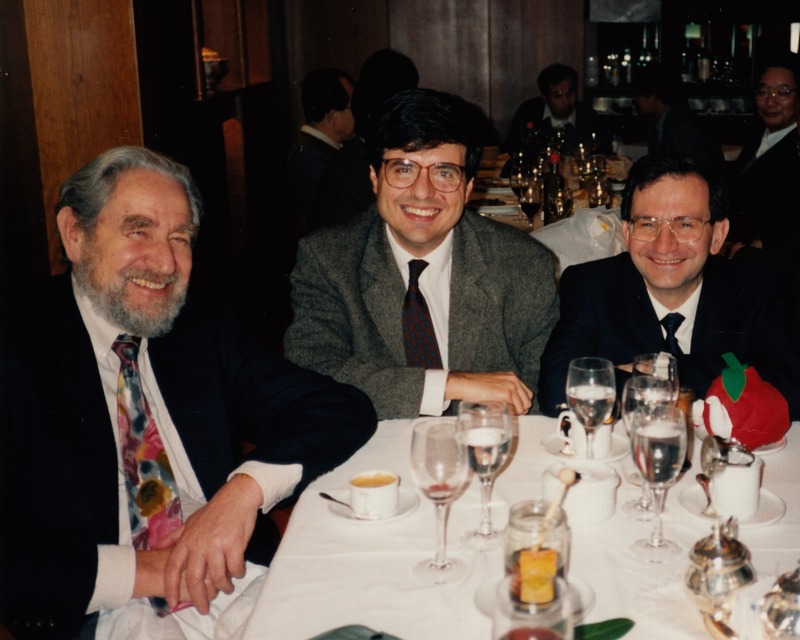 Endogeneity and Instruments in Nonparametric Models, Comments to papers by Darolles, Florens & Renault, and Blundell & Powelll, Econometric Society 8th World Congress, Seattle, August 11, 2000. Revised: October 2001. Appeared in M. Dewatripont, L. P. Hansen, and S. J. Turnovsky (eds. ): Advances in Economics and Econometrics, Eighth World Congress, Volume 2, Cambridge University Press, 2003. August 2000 slides. Revised: October 2001. Comments on "A Cross-Country Comparison of Labor Market Frictions" by G. Ridder and G. van den Berg, Banco de Portugal Conference on Labor Market Institutions and Economic Outcomes, Cascais, June 4, 2001. Comments on "The Returns to Job Mobility during the Transition: Evidence from Czech Retrospective Data" by D. Münich, J. Svejnar, and K. Terrell, CREI Conference on Unemployment in Transition Economies, UPF, Barcelona, October 27, 2001. Comments on "Wage Bargaining with On-the-job Search: A Structural Econometric Model" by P. Cahuc, F. Postel-Vinay, and J.-M. Robin, Banco de Portugal Conference on Labour Market Reform, Santa Maria do Bouro, June 1, 2003. Comments on "Is Tomorrow Another Day? The Labor Supply of New York City Cab Drivers" by Henry S. Farber, 1st International Conference on Advances in Economic Research, Universidad de Navarra, Pamplona, October 24, 2003. 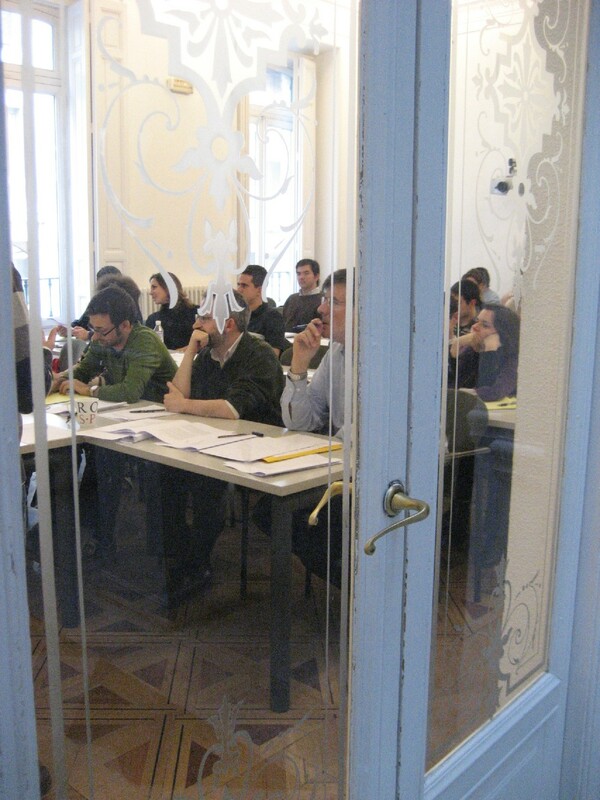 Comments on "Research, Innovation and Productivity in Four European Countries" by R. Griffith, E. Huergo, J. Mairesse, and B. Peters, 5th Meeting of Group on Innovation and Employment in European Firms, Universidad Carlos III de Madrid, June 25, 2004. Comments on "The Effect of College Curriculum on Earnings: Accounting for Non-Ignorable Non-Response Bias" by D. Hamermesh and S. Donald, Banco de Portugal Conference on European Labour Markets and Education, Quinta do Lago, May 21, 2005. Comments on “Evaluation of Currency Regimes: The Unique Role of Sudden Stops” by Assaf Razin and Yona Rubinstein, 41st Economic Policy Panel Meeting, European Investment Bank, Luxembourg, April 16, 2005. Appeared in Economic Policy, 45, 2006. Comments on “Has the Inflation Process Changed?” by Stephen Cecchetti and Guy Debelle, 42nd Economic Policy Panel Meeting, Bank of England, London, October 21, 2005. Appeared in Economic Policy, 46, 2006. Comments on "New Evidence on the Causal Link between the Quantity and Quality of Children" by J. Angrist, V. Lavy, and A. Schlosser, and "Dynamic Models for Policy Evaluation" by Costas Meghir, CREST Conference on Econometric Evaluation of Public Policies: Methods and Applications, Paris, December 15, 2005. Comments on “FDI and the Dark Side of Decentralization” by Sebastian Kessing, Kai Konrad, and Christos Kotsogiannis, 43rd Economic Policy Panel Meeting, Oesterreichische Nationalbank, Vienna, April 22, 2006. Appeared in Economic Policy, 49, 2007. Comments on "Two Problems of Partial Identification with Panel Data" by C. Manski, 13th Conference on Panel Data, Cambridge, July 8, 2006. Comments on “Should we have a WTO for International Migration” by Timothy J. Hatton, 44th Economic Policy Panel Meeting, Bank of Finland, Helsinki, October 21, 2006. Appeared in Economic Policy, 50, 2007. Discussion: "Panel Data Analysis - Advantages and Challenges" by Cheng Hsiao, November 2006. Appeared in: Test, Journal of the Spanish Statistical Society, 16, 2007. Comments on "Consumption and Investment Motives in Housing Wealth Accumulation of Spanish Households" by Arrondel, Badenes, and Spadaro, Banco de España Conference on Household Finances and Housing Wealth, Madrid, April 24, 2007. 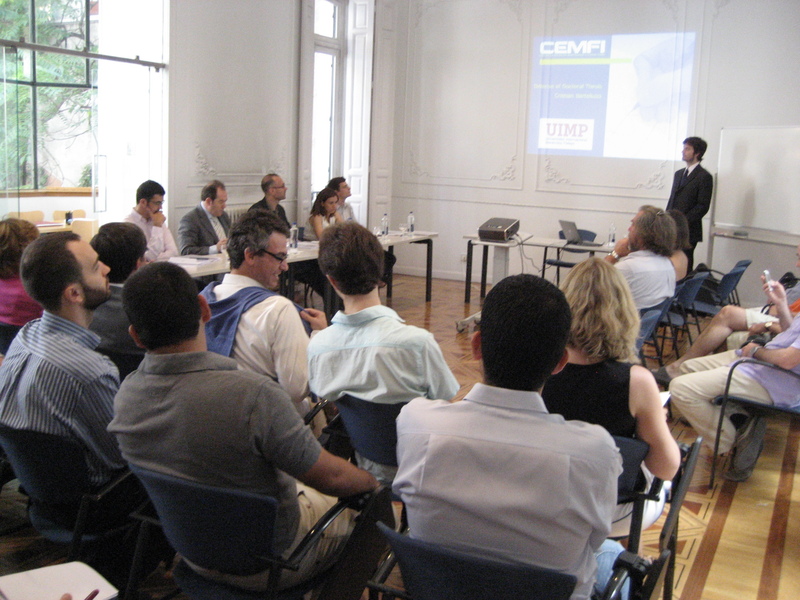 Comments on "Quasi-Experimental Evidence on the Effects of Unemployment Insurance from New York State" by Bruce Meyer and Wallace Mok, Banco de Portugal Conference on Unemployment, Quinta do Lago, June 10, 2007. Comments on “Micro and Macro Elasticities in a Life Cycle Model With Taxes” by Richard Rogerson and Johanna Wallenius, Conference on the Macroeconomics of Labor Markets in the US and Europe, Fundación Ramón Areces, Madrid, May 10, 2008. Comments on "Compensating Wage Differentials for the Timing of Work: Continuous versus Split Work Shifts in Spain" by Catalina Amuedo-Dorantes and Sara de la Rica, COSME Workshop, Banco de España, Madrid, June 1, 2009. Comments on "IV quantile regression for group-level treatments, with an application to the distributional effects of trade" by Denis Chetverikov, Brad Larsen, and Christopher Palmer, Interactions: Bringing Together Econometrics and Applied Microeconomics, University of Chicago, September 25, 2015. Comments on "Earnings Dynamics, Mobility Costs, and Transmission of Firm and Market-Level Shocks" by Thibaut Lamadon, Magne Mogstad, and Bradley Setzler, The Welfare State and the Labour Market: Micro meets Macro, Institute for Fiscal Studies, London, March 23, 2017. Comments on "Dissecting Idiosyncratic Income Risk" by Elin Halvorsen, Hans Holter, Serdarn Ozkan, and Kjetil Storesletten, 2nd Annual Research Conference of Banco de España: Taxes and Transfers, Madrid, September 4, 2018. El acceso a los microdatos administrativos públicos: la nueva frontera de la investigación económica y social, XVIII Aula de Verano “Ortega y Gasset”, UIMP, Santander, 20-21 Agosto 2018. Choosing to be a social scientist in the 21st century. 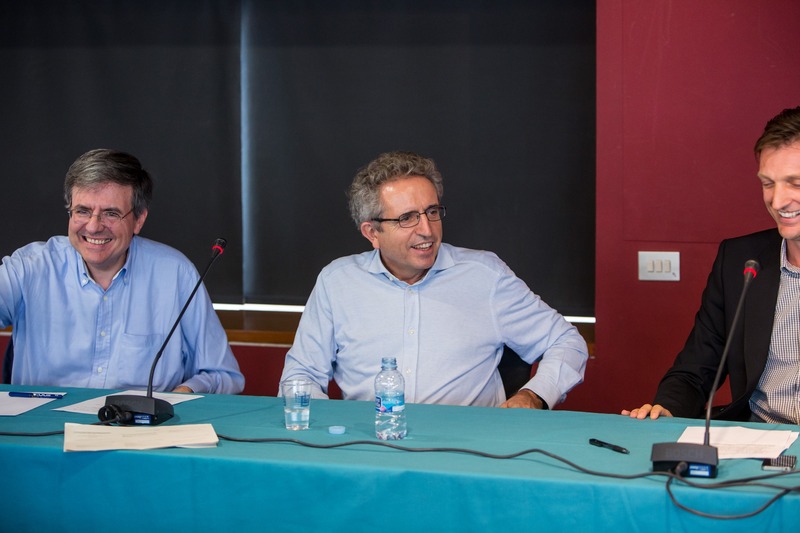 Advice for economists who start their careers in academia, 23rd Spring Meeting of Young Economists, Palma de Mallorca, 1 June 2018. Econometría de la desigualdad: de la persona promedio a la persona cuantil. Publicado en: Jaume García, José Manuel González-Páramo y Anna Matas (directores): Análisis empíricos sobre la economía española. Ensayos en homenaje a Josep Lluís Raymond Bara, Funcas, Thomson Reuters Aranzadi, 2017. 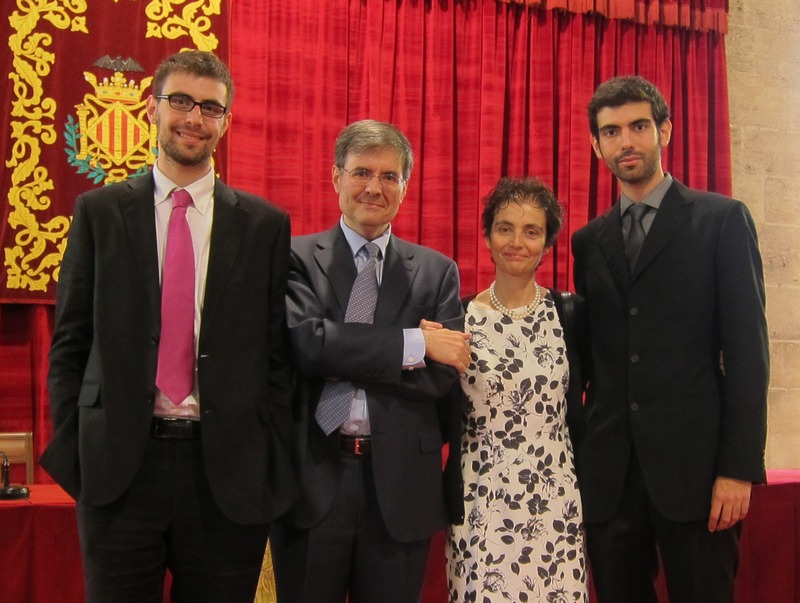 Premio a un gran empiricista, Fundación Ramón Areces, Madrid, 11 Noviembre 2015. Annual Report of the President, Econometric Society, November 2015. 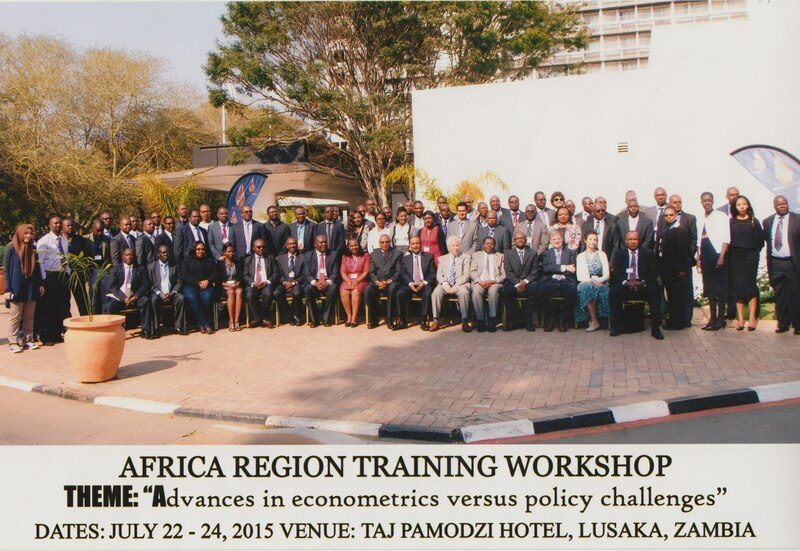 Quantile Response and Panel Data, Africa Region Training Workshop, Econometric Society, Lusaka, July 22, 2015. 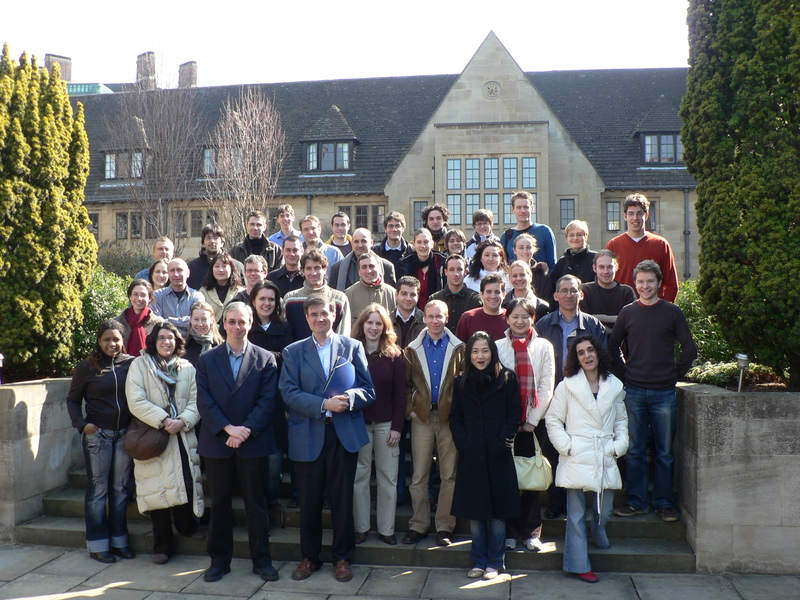 Experimental Economics: What have we learned? 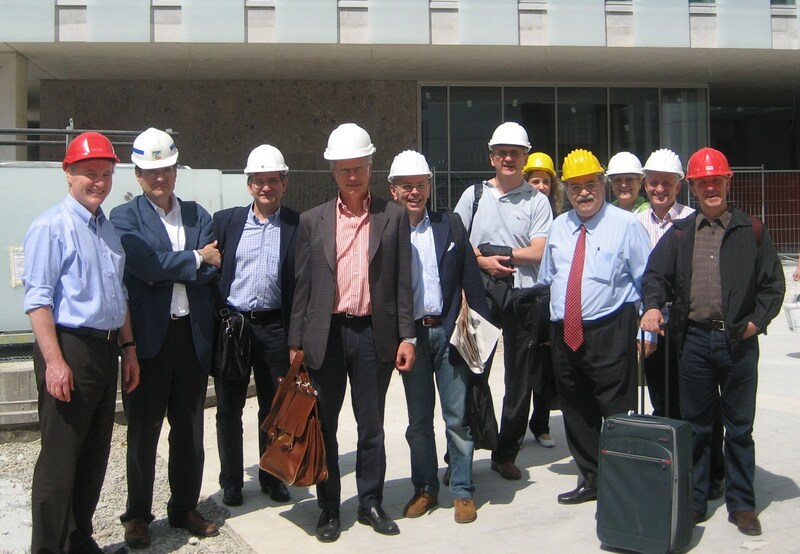 A Comment, Barcelona GSE Economics "Trobada", October 2014. Choosing to be a social scientist in Spain, COSME Newsletter, December 2013. La renta de los hogares españoles en el preludio de la crisis (con O. Bover). Publicado en: M. Lucena y R. Repullo (eds. ): Ensayos sobre Economía y Política Económica: Homenaje a Julio Segura, Antoni Bosch editor, Barcelona, 2013. La burbuja inmobiliaria: causas y responsables (con S. Bentolila), La Crisis de la Economía Española: Lecciones y Propuestas, FEDEA, 2009. Artículo en El País, 22 de febrero de 2009. The Euro Area Household Finance and Consumption Project: Discussion, ECB-CFS Conference, Frankfurt, September 4, 2008. Comments on Publishing in Economics, Women in Economics (WinE) Workshop on Successful Publishing, EEA-ESEM, Budapest, August 2007. Empirical Evaluation of Public Policies: The Pursuit of Causality, HPE/REP Lecture, XII Encuentro de Economía Pública, Palma de Mallorca, 4 February 2005. 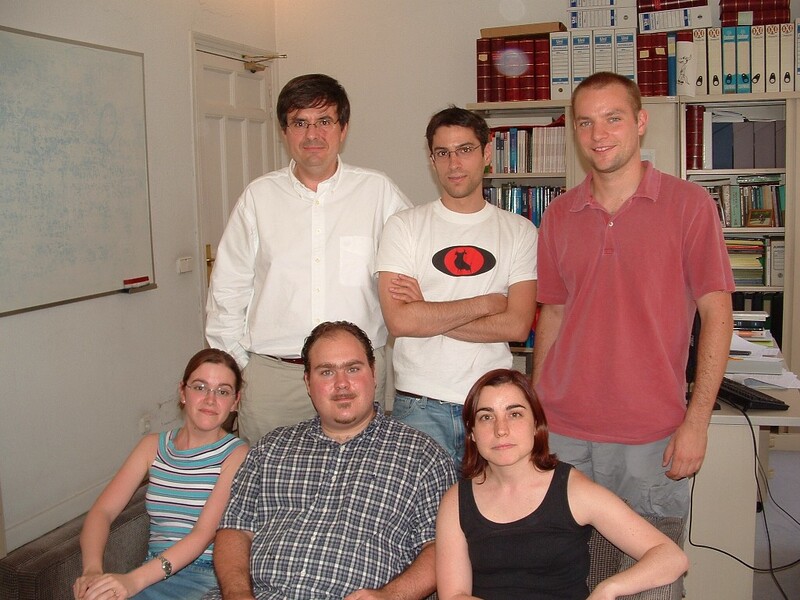 The origins of the Econometric Society in Spain, February 2005. Instrumentos óptimos en el análisis de datos de panel con una aplicación a los determinantes del crecimiento económico, Conferencia inaugural, VI Encuentro de Economía Aplicada, Granada, 5 de junio de 2003. Matching, Body Weight, and the Academic Success of CEMFI Students. A skit (in Spanish) on a Master's thesis project, Skit Show, CEMFI, 29 April 2003. La Medición Empírica en el Análisis Económico y Social, Conferencia, Semana de la Ciencia Madrid 2002, Universidad de Alcalá, 6 de noviembre de 2002. Lagrange Multiplier Test, Entry for An Eponymous Dictionary of Economics, J. Segura and C. Rodríguez Braun (eds. ), Edward Elgar, 2004. Nobel 2000, Artículo en El País, 12 de octubre de 2000. 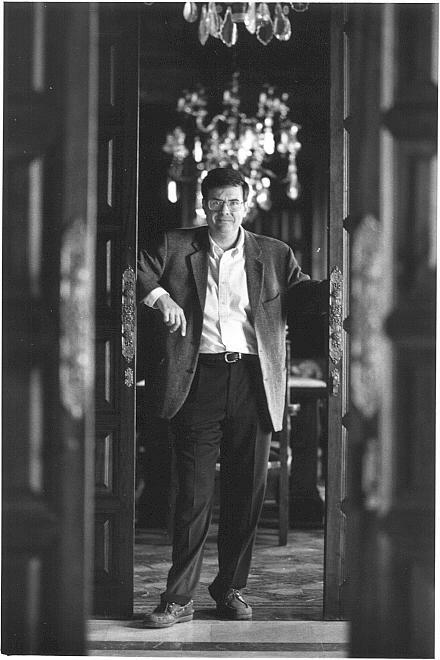 Al filo del cese de un investigador (con S. Bentolila), Artículo en El País, 4 de julio de 1998. Introducción al Análisis Econométrico con Datos de Panel. 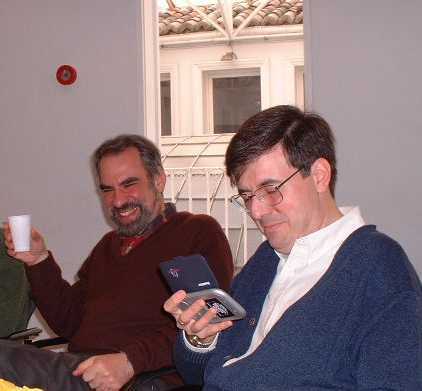 In J. J. Dolado, C. Martín and L. R. Romero (eds. ): La industria y el comportamiento de las empresas españolas: Ensayos en homenaje a Gonzalo Mato, Chapter 1, Alianza Editorial, Madrid, 1993, 23-47. Moment Testing with non-ML Estimators, unpublished manuscript, LSE, May 1991.
Review of C. F. Manski, Analog Estimation Methods in Econometrics, The Economic Journal, 99, December 1989, p. 1244. Second Order Imhof Approximations to General Distribution Functions (with J. D. Sargan), incomplete manuscript, LSE, January 1987. "Dynamic Panel Data Estimation Using DPD - A Guide for Users" by Manuel Arellano and Steve Bond. Institute for Fiscal Studies Working Paper 88/15, London, 1988. "Dynamic Panel Data Estimation Using DPD98 for Gauss" by Manuel Arellano and Stephen Bond, December 1998. You can download two ZIP-files dpd98.zip and xdata.zip. This is not yet the final version but it is close to it. The file dpd98.zip contains DPD98.RUN, DPD98.PRG and DPD98.FNS. The file xdata.zip contains XDATA.DAT, XDATA.DHT, AUXDATA.DAT and AUXDATA.DHT, which are the example data files described in the manual. "Panel Data Estimation Using DPD for Ox" by Jurgen A. Doornik, Manuel Arellano, and Stephen Bond, June 1999. What does the Arellano-Bond estimator do?